Systec’s Performance Line Bundle Transfer or the PBTE is unique in that it can integrate with vision inspection systems to allow for the quarantine of defective loads. 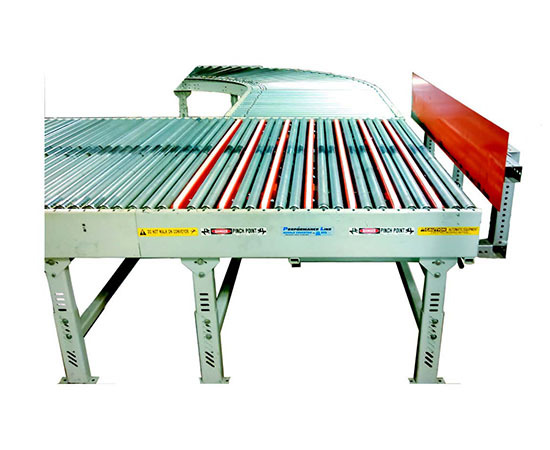 Systec’s PBTE integrates with zoned Performance Line Bundle Conveyor for the best control. The device is ideal for use at a corner allowing for maximum surge and straight cornering where registration is not an issue when building a load. Designed using precision laser cut parts for exact fit and function. The bars are all steel construction.